Beach Living at it's best. Lovely view of the ocean from living and dining room ,and Master Suite, beautiful views of intra coastal and Gamble Rogers state park. 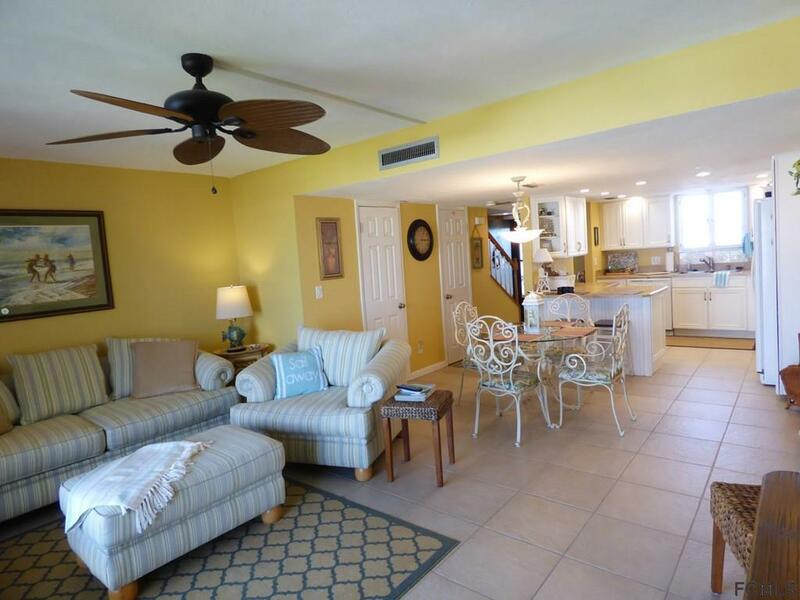 Private beach access, second and third floor entry, tennis and Pickle court, shuffle board, gas grills and picnic area on both sides of the building, beautiful pool,, coin operated laundry, and club room. 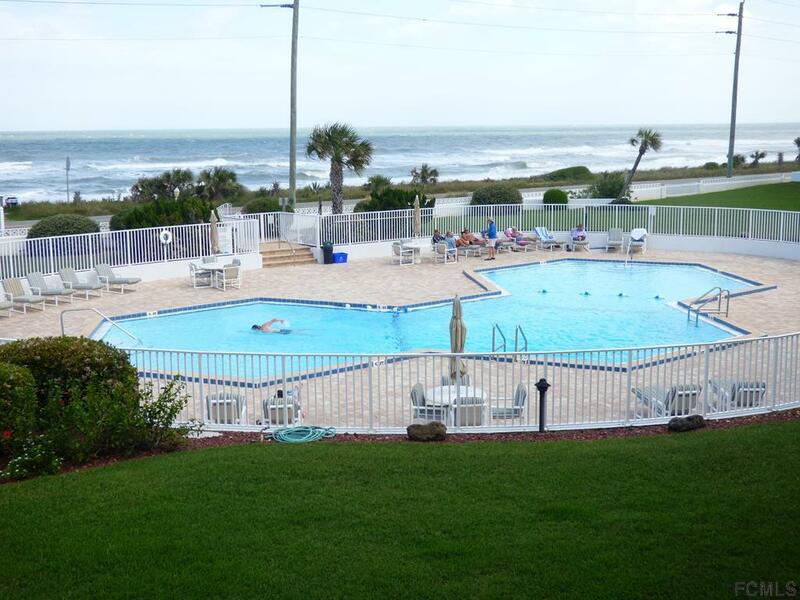 Pet friendly beach and complex has only 42 units, grounds manager is on premises. A must see if you like un-crowed beaches and relaxing atmosphere. Within 90 minutes of all major theme parks. 25 miles to St. Augustine and 20 miles to Daytona. 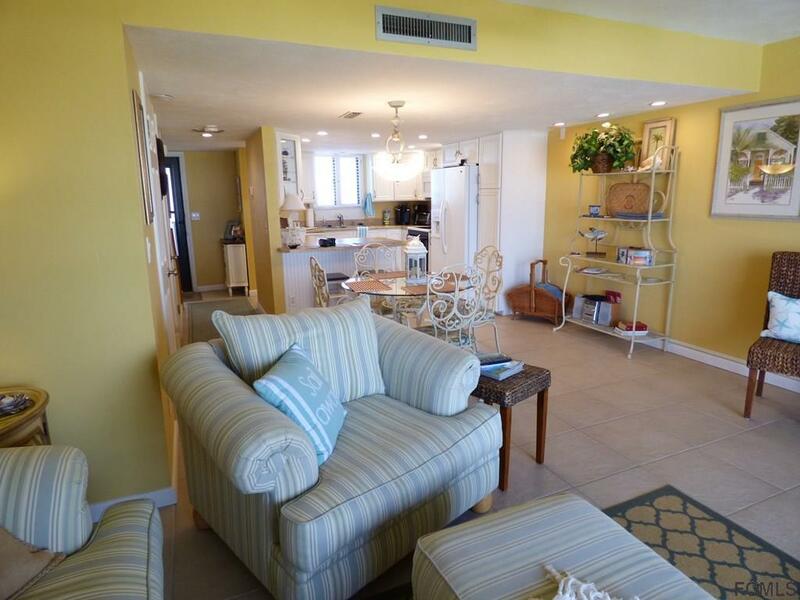 Condo has many upgrades, and remodeled. 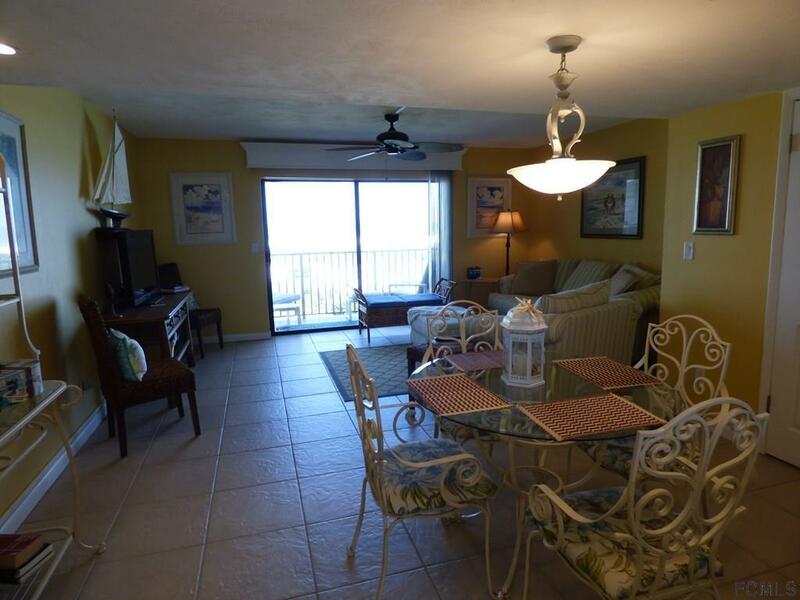 There is a transferable rental permit allowing 1 week plus rental. New air conditioning 2019 with a 10 maintenance warranty, new over the stove microwave. This condo has a million dollar view. Listing courtesy of Sandra Jackson of Wolcott Realty, Inc..